No one in the world is completely secure. Housebreaks or thefts in your business might no longer be reported in the newspaper because terrorist attacks and threats now are the new fears of twenty first century. But housebreaks and thefts are still there. No home or office is completely secure. The best way to be safe is to implement certain security safeguards almost all the times. CTK INVESTIGATIONS, LLC provides cutting edge technology and quality installation to protect you and your valuables. CTK INVESTIGATIONS, LLC specializes and excels in the design and installation of CCTV (Closed Circuit Television) systems. 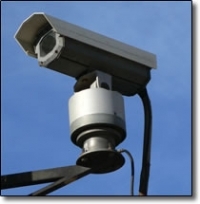 It has become commonplace to utilize video security in all aspects of everyday life. From preventing burglary and employee theft to simply making sure your children are safe, there are surveillance solutions to fit every need. And with the prominence and availability of high-speed internet connectivity, remote monitoring and playback of video has become affordable and reliable from anywhere in the world. CTK INVESTIGATIONS, LLC offers a wide array of propriatary products that will exceed all of your needs, expectations AND most importantly, stay within your budget. If you would like any information or questions answered, please feel free to contact Cory T. Knight at (954) 652-0733 or click here to contact us via e-mail. Homes without security systems are about 3 times more likely to be broken into than those protected with security systems. Businesses without alarm systems are 4.5 times more likely to be burglarized than commercial locations with electronic security in place. Losses due to burglary average $400.00 less in residences with security systems than for a residence without security systems. The obvious decision here is, you need an alarm system and you need one from CTK INVESTIGATIONS, LLC and our Florida Alarm security experts. Feel free to call Cory T. Knight at (954) 652-0733 or click here to e-mail us today. To sleep soundly, you need peace of mind. You need to know that what you value most, your home and your family, are safe and secure. The statistics should be convincing enough. The facts are in, security systems are effective in preventing loss of life and protecting property. Like millions of others, you’ve realized that your peace of mind is what matters the most, and are considering purchasing a home security system. Smart move! Your home and your loved ones are, after all, your most precious assets, and a home security system is one of the most important investments you’ll ever make. Trouble is, the decision can be overwhelming—especially if you have a lot of basic questions! What do I need? How do these systems work? What is that central monitoring station anyway? Will my pet set off the alarm? Relax.our security experts can and will help. Our professional sales staff can answer some of the most commonly asked questions and concerns voiced by homeowners like you. Feel free to call Cory T. Knight at (954) 652-0733 or click here to e-mail us today. Florida residential alarm and security experts. As a business owner, you are constantly challenged to detect and address corporate vulnerabilities, as well as protect your employees, your property and your investment. Whether you are in charge of a lumber yard, financial institution, transportation warehouse, law firm, Florida private investigation agency, or chain of retail stores, CTK INVESTIGATIONS, LLC commercial security alarm and deterent systems will provide you with customized, cost-effective protection and seamless integration for any application. The threat of burglary and robbery are always present. When you lock up for the night and your staff goes home, the total security solution provided by CTK INVESTIGATIONS, LLC will provide you with that piece of mind that you protected your investment as much as possible. Feel free to call Cory T. Knight at (954) 652-0733 or click here to e-mail us today. The security industry has witnessed a tremendous increase in the use of video surveillance over the last decade. As this surge continues, the need for video clarification services and forensic examination grows as well.Feel free to call Cory T. Knight at (954) 652-0733 or click here to e-mail us today. Most crimes caught on tape by video cameras are of poor quality. Lack of system maintenance, improper choice or position of camera/lens and insufficient lighting are just some of the attributing factors. Our technology experts use the latest in video forensic software tools to clarify the hidden details.Video Forensic and Clarification. Contact the Florida video forensics experts today to review your needs. Our Florida audio and video forensics experts can provide video and audio clarification services to law enforcement agencies and private corporations. Our Florida private investigators and video experts use the most advanced technologies to play back and digitally capture almost any type of recorded media. We can de-multiplex any tape no matter which model was used to record the data. Critical to the entire process is the fact that we digitize the video with absolutely NO COMPRESSION which results in the exact data transfer to the digital domain. Whether it is a poor quality recording or simply footage that requires further detail, our labs can assist you. Click here for a FREE consultation, for your security needs.